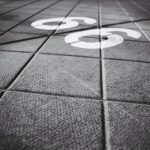 Yes 66 days is the recent time frame thrown out there for many of us to create new habits judging by a recent study. So just over two months, therefore if you are ready to implement a new habit then it should be done and dusted by Christmas. Goal setting should be your first aim, think it through carefully with a SMART priniciple (Specific, Measurable, Attainable, Realistic and Time Framed). Make sure your goal(s) genuinely inspire and motivate you – not those you feel you should do. Share those goals with trusted family and friends, they can be your support network though if they choose not to then move forward and don’t let their negativity affect you. In the early days of trying to form new habits please do not expect it to be easy, whether it’s a diet or exercise/lifestyle change you need to be strong willed. Exercise wise the body will be going through many changes in those early stages of increased activity and as it adapts you may find things very challenging. This is to be expected but as time goes on and with the body’s adaptation you should start to see the benefits of your hard work. Seeing those benefits only helps to motivate you forward. The only way you will not see this is if you abstain from these newly acquired habits, 66 DAYS! As you go through the changes then 3 words must come to your attention! …………….DON’T GIVE UP ……………..Many people are held back by limiting beliefs – the idea that something is completely beyond them. The first set-back only reinforces what they already believe and they give up, feeling worse than before. This time though resolve to see it differently, instead of saying “I’m not strong/clever/talented enough to do that”, say “I have not yet learnt how to be able to do that”. Always leave the door of possibility open and give yourself the chance to succeed in the future. Whilst trying to attain new habits it is important to remember that people can/will have setbacks and this is quite acceptable. The importance is to learn to go again and this is very noticeable in what is called The Transtheoretical Model but to you and me is better known as ‘The Stages Of Change’. There are 6 stages (Precontemplation, Contemplation, Preparation, Action, Maintenance and Termination). On a diagram these words form a circle and in some cases an extra word ‘Relapse’ can be observed. It has been proven over time that many people can take up to 3 journeys around this circle having suffered relapses at various points, before they have managed to achieve their ultimate goal. If suffering a relapse it does not necessarily mean that you have to start all over again, it is possible to re enter in to the stages of change at the precise point you relapsed. So to recap……………..a well thought out Goal or Goals, family and friends support network, a belief that the end result will always be worth the journey you are on and remember Goals are dreams with deadlines.